The Dumbi is an easy-to-paddle surf kayak with great performance characteristics. It is not aimed at winning surfing competitions, but rather to bring the joy of surfing waves to aspiring surf kayakers. The hull of the Dumbi is designed for fast planing and easy carving. You can surf waves without attaching fins to it, which makes it very forgiving and easy to side surf and spin on waves. With the fins attached, you can carve harder and have a generally more aggressive ride. The choice is yours! One of the most daunting challenges for inexperienced paddlers is paddling through waves to the backline. For this reason, the bow of the Dumbi is designed to punch through waves with ease. The high volume of the stern adds stability when punching through waves, and generally result in a more stable ride. 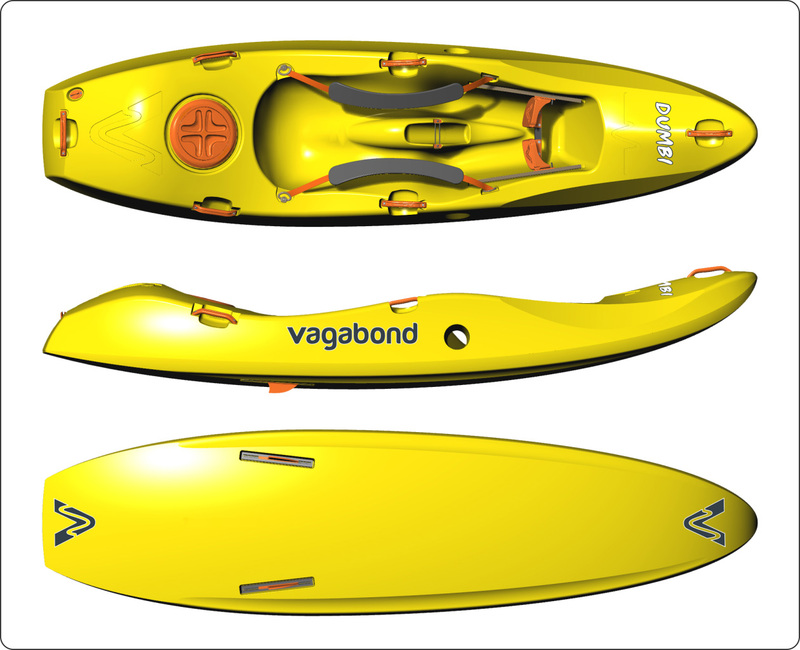 The sculpted seat and lower-than-bum footwell make the Dumbi comfortable to paddle, while also keeping the paddler securely in the boat when things get a bit rough. Thigh straps are also added to secure you into the boat even better, and if you’re a kayaker with a decent roll, you don’t even need to swim if you capsize. Unique to the Dumbi are the Sidewall Drainage Holes, which drain water from the deck in an instant when you punch through waves. This ensures a drier ride and better performance. It is accommodating and forgiving to novices, but also a blast of fun for experienced paddlers. With the Dumbi, we hope to see more paddlers having more fun in the surf than ever before.